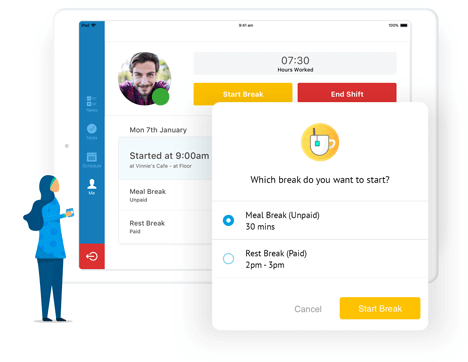 Create new shift structures instantly, drag & drop existing rotas, build custom rota templates, or use auto-scheduling to create optimised, legally compliant rotas with a single click. Publish and share staff rotas with ease. 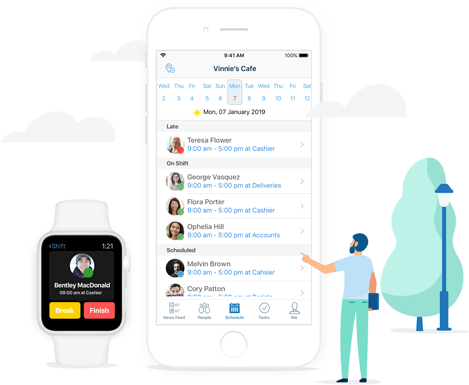 Notify employees about shift changes with the option to request confirmation, or share with entire departments using email, SMS, or push notifications. Easily manage changes to employee rotas. Offer open shifts to selected employees or entire departments. 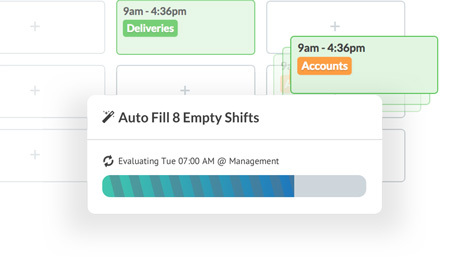 Allow employees to swap shifts automatically with one simple request. Craft the perfect rota for your business using Deputy's AI powered Auto-Scheduling, reducing unnecessary wage costs with accurate labour forecasts. 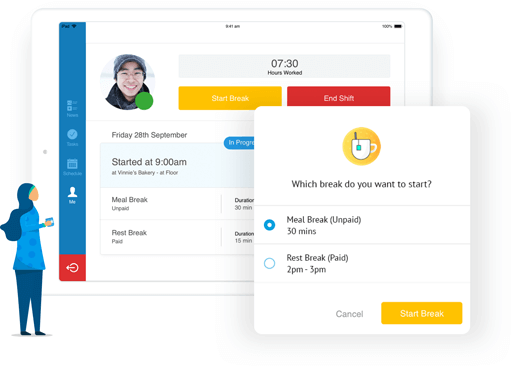 Rota multiple breaks and break types in a single shift, and free your business from the worries of break compliance and coverage. 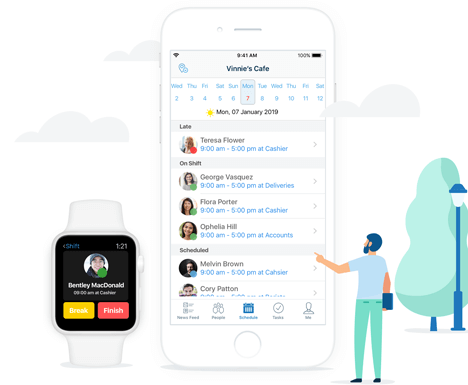 Simply create, copy and publish rotas, manage shift swaps, and find replacements from any device with employee scheduling apps for Android, iPad, iPhone and Apple Watch. Build the ultimate rota today! Rota employees according to their skills and qualifications. Whether it’s first aid, food preparation, or heavy machinery, track staff skillsets and rota accordingly. Deputy calculates employee overtime, penalty rates, loadings & salary costing with every shift. Customise according to local laws, or your own workplace agreements. Sync employees from your HR software to build and maintain an accurate rota. Deputy also integrates with a host of other services that already manage your accounting, payroll, POS, data storage and more.